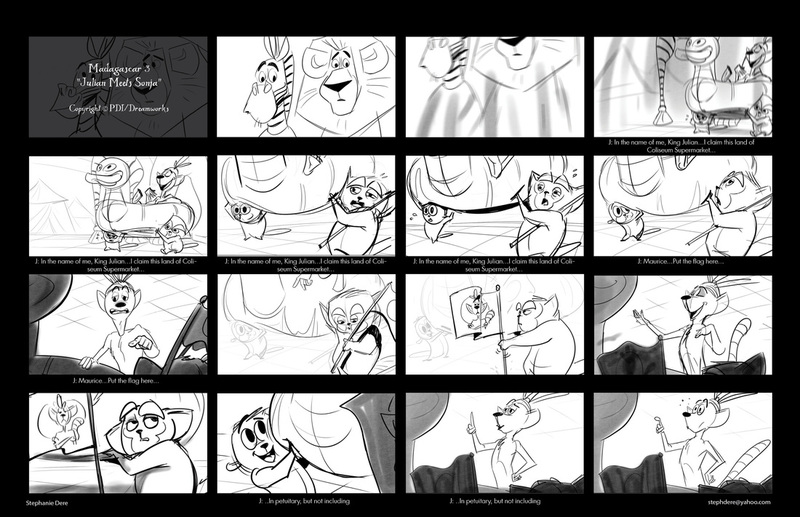 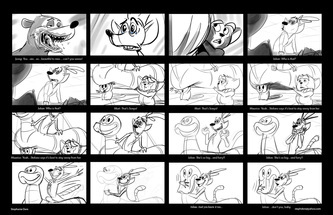 Madagascar 3 Boards - "Julian Meets Sonja"
Madagascar 3 Boards - "The Van Escape"
Madagascar 3 - "Sonja's Escape"
Madagascar 3 - "Dubois Sniffs Them Out"
Based on James Thurber's, "The Chipmunk and the Shrike", it is a story of a chipmunk's obsession with art and design and the effect it has on his marriage. 4.08 min. 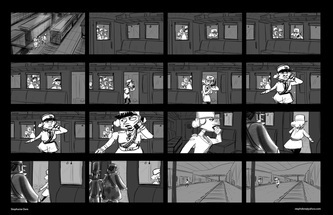 Personal short film. 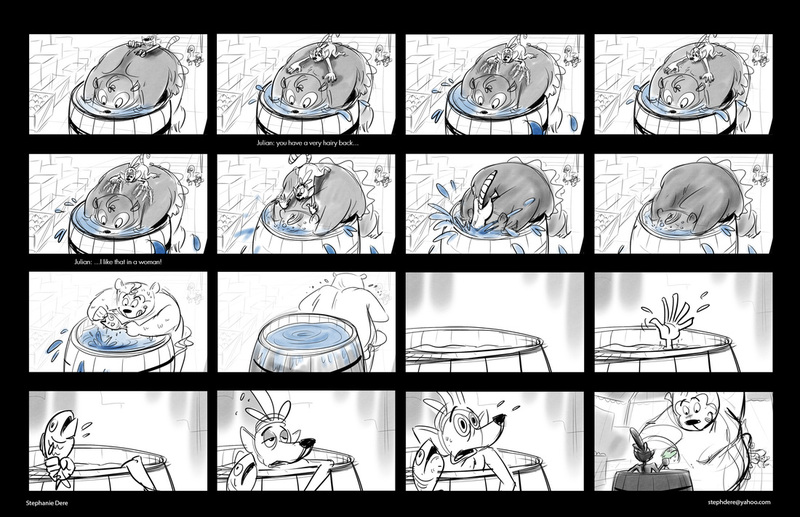 A happy go-lucky dog gets to go on vacation...and finds out his destination isn't exactly what he expected . 2D pencil test. 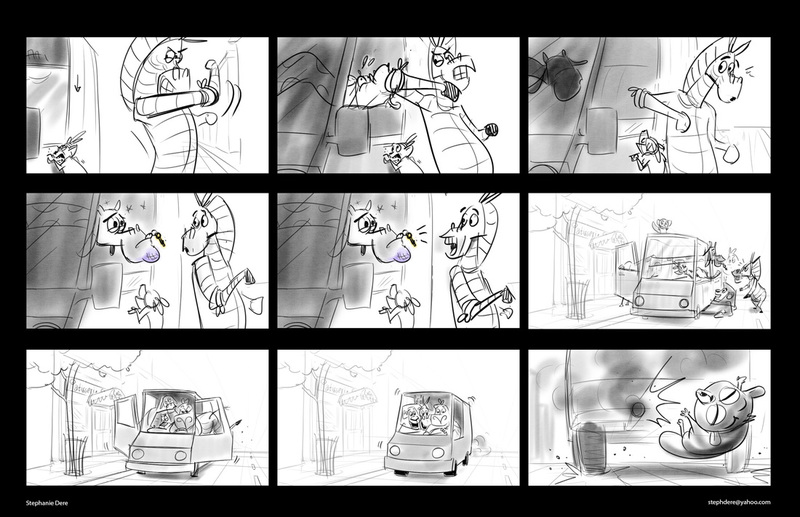 Music, 'Don't Worry Be Happy', by Bobby McFerrin. 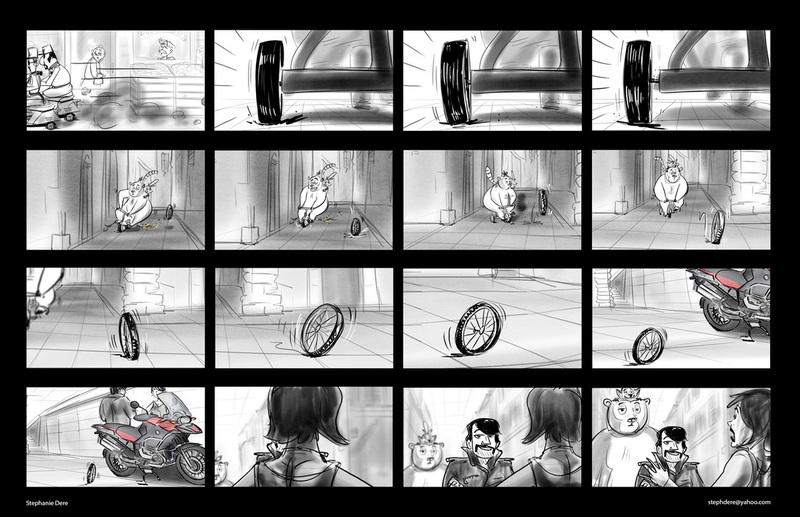 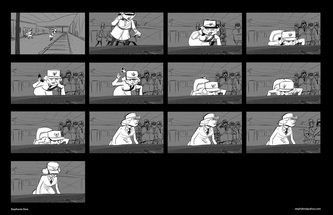 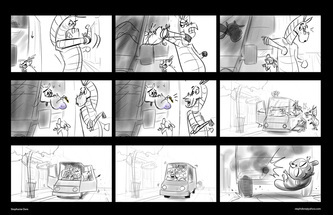 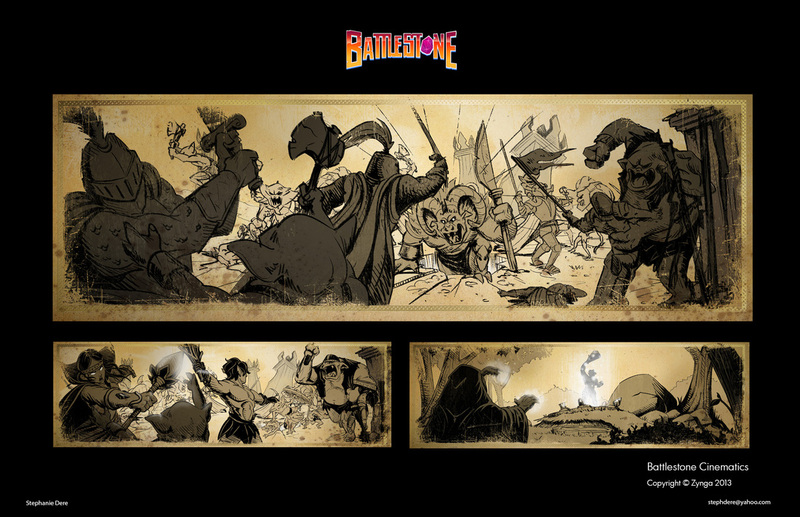 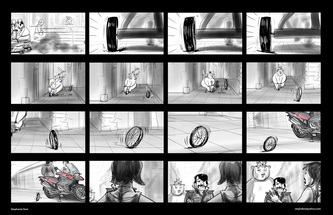 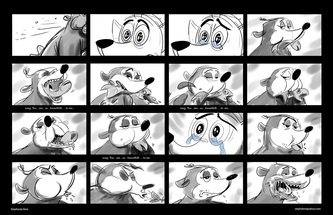 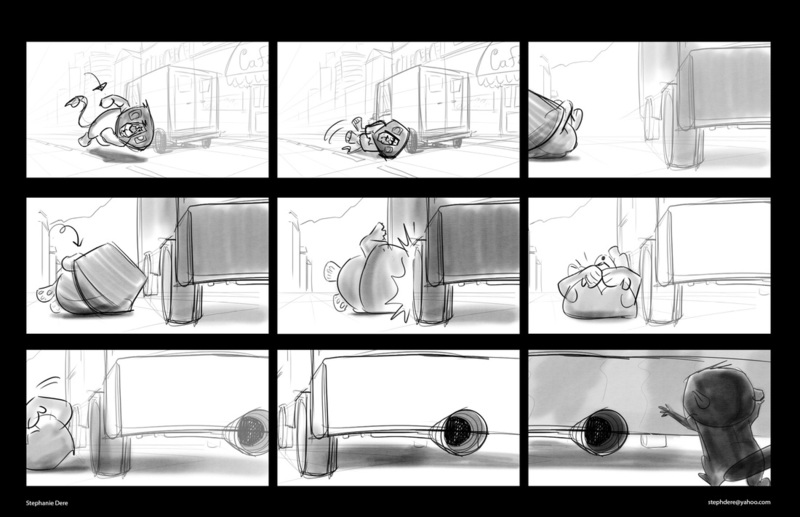 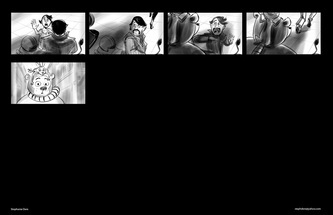 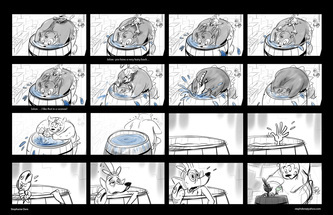 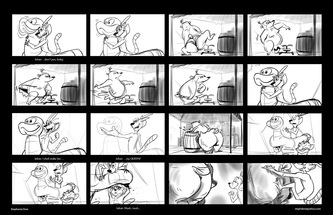 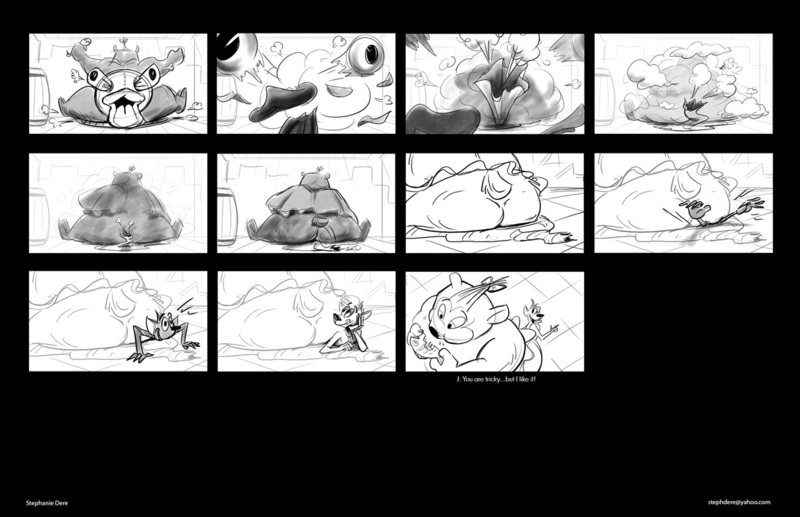 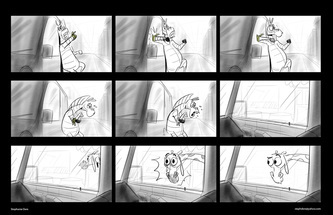 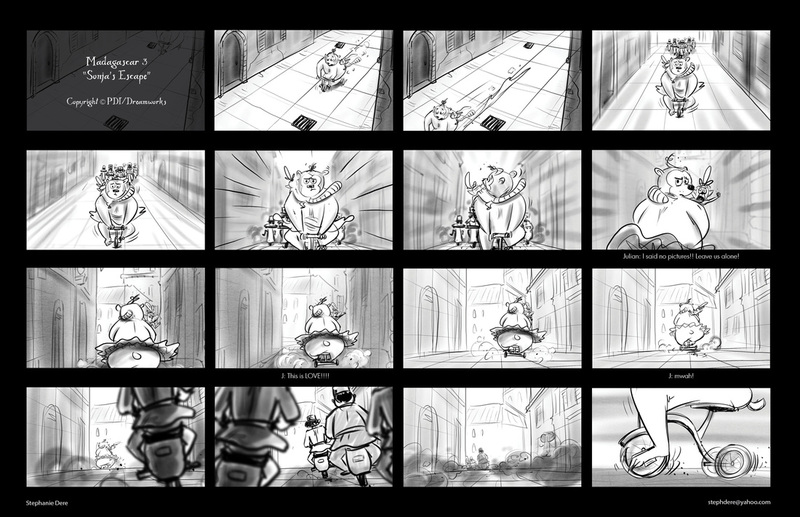 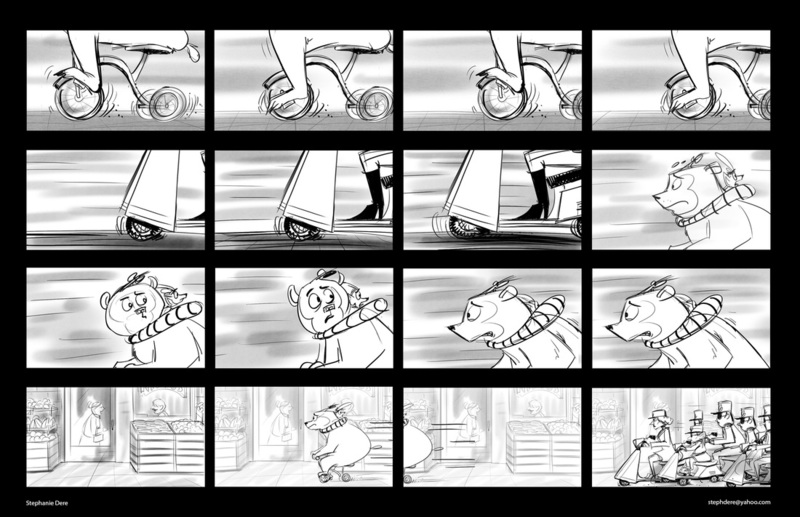 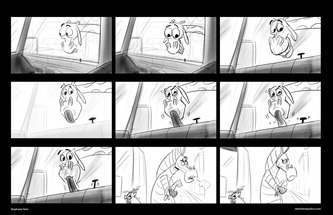 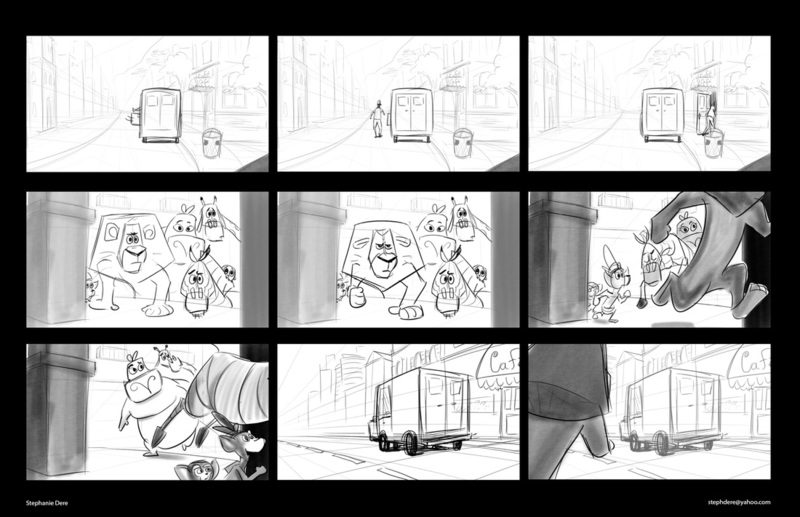 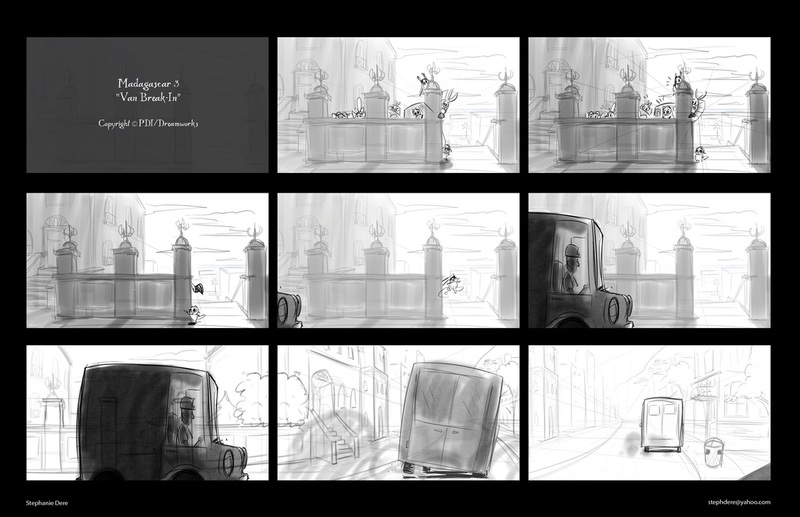 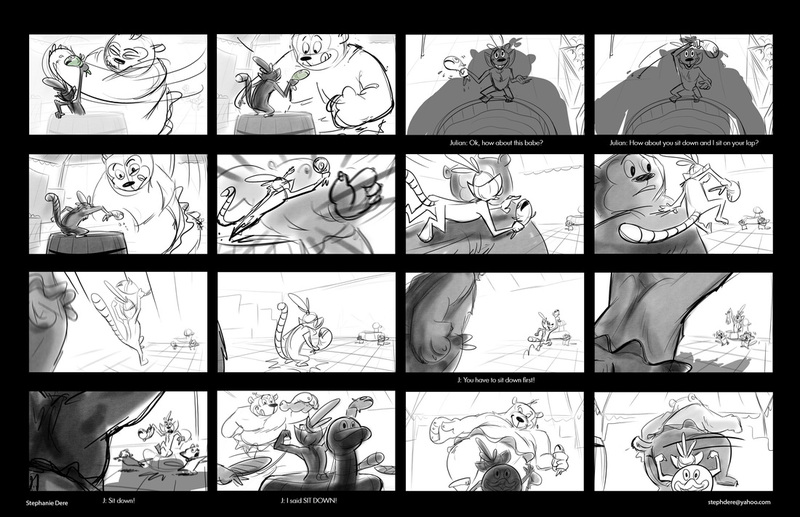 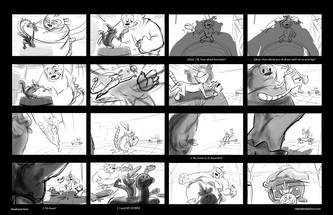 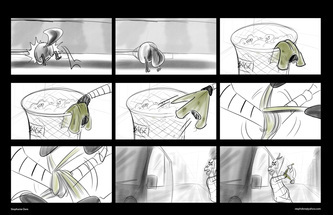 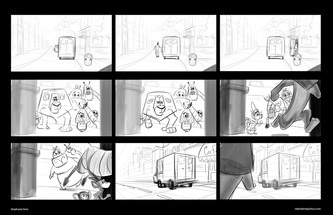 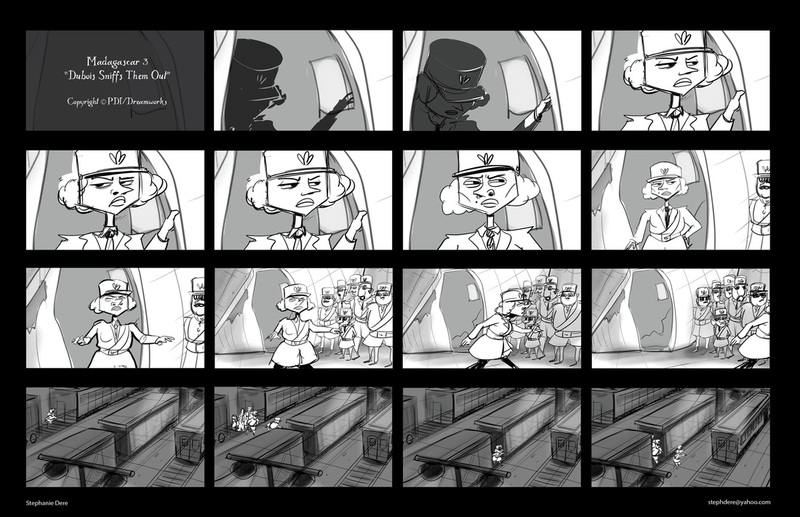 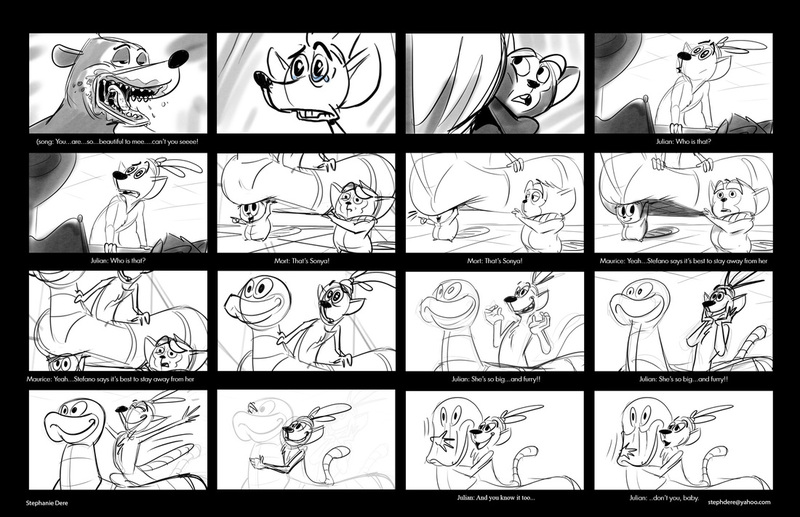 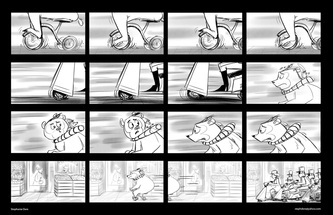 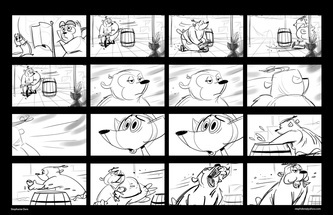 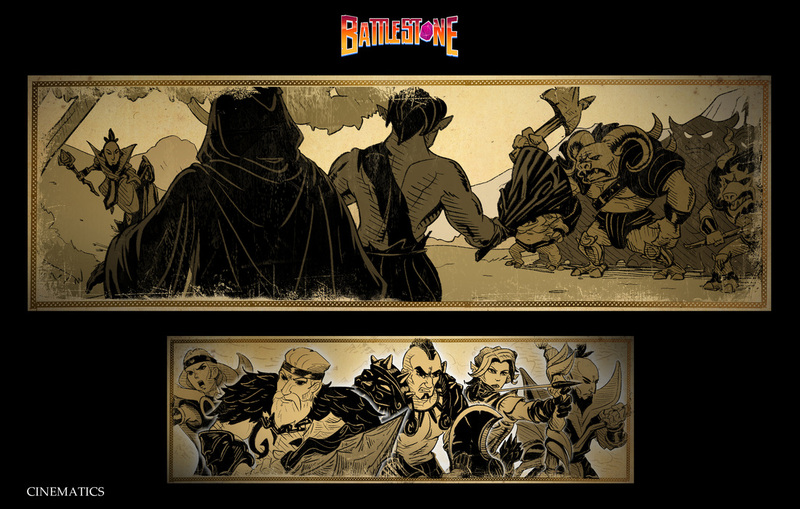 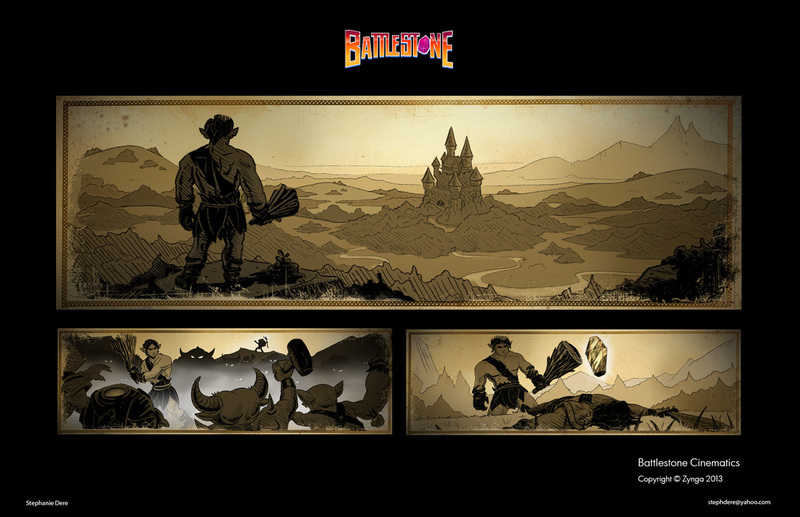 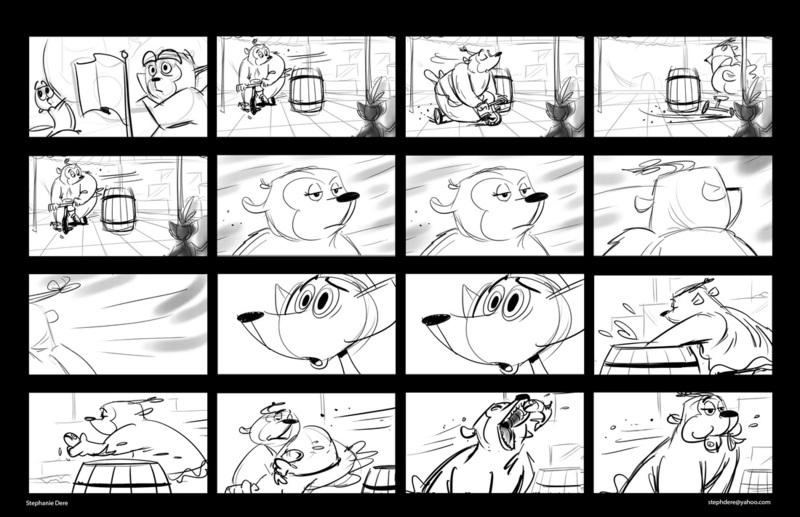 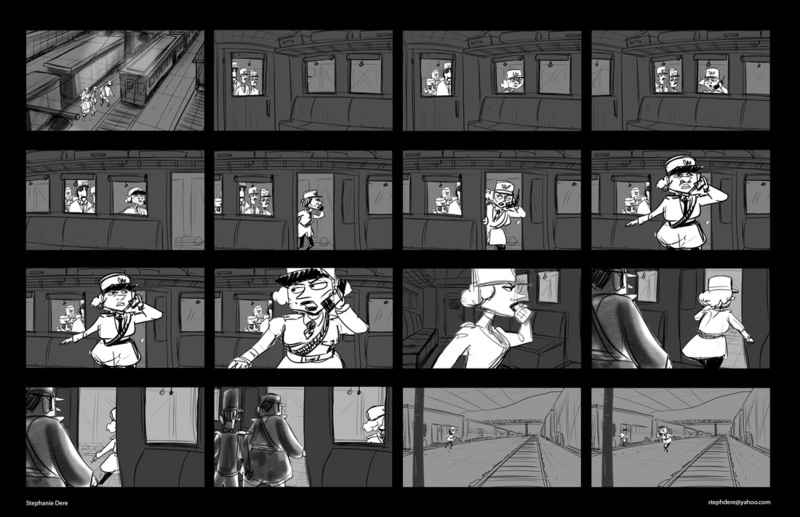 Storyboards for Mark Kistler's Imagination Station new TV intro. Rough-final comparison. Final version of TV intro created by SJSU Animation/Illustration department now playing nationwide.